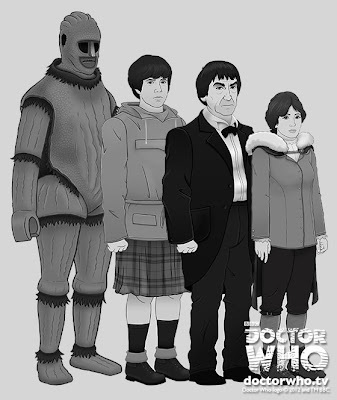 Contrary to previous reports it has now been officially confirmed that the DVD release of Classic Doctor Who Patrick Troughton story 'The Ice Warriors' will have both it's missing episodes animated. The company being brought in to handle the animation is called Qurios. 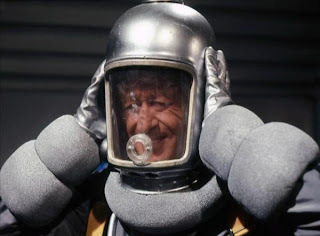 This is particularly good timing as the Ice Warriors are set to return to Doctor Who this year for the 50th Anniversary in a story written by veteren Who writer Mark Gatiss, set on a submarine. The current release date is set as 26th August 2013. But that may change. Qurios Entertainment’s previous work includes visual effects for sci-fi sitcom Hyperdrive, puppet comedy Mongrels and titles for Doctor Who DVD extra series Who Peter. Veteran producer of the classic Who range, Chris Chapman has overseen the animation, Niel Bushnell is the producer for Qurios and the animation director is Chris Chatterton. 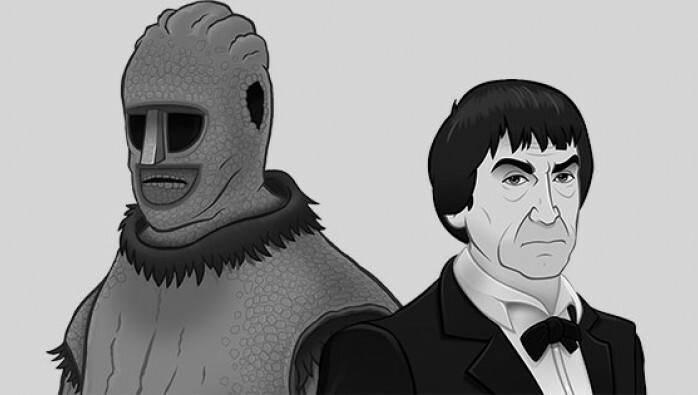 An Ice Warrior, Jamie, the Doctor, & Victoria. A few more names have been added to the cast list for the upcoming Doctor Who origin Drama, 'An Adventure In Space And Time.' The production is in it's final week and the finished programme will be shown in November to commemorate the 50th Anniversary of Doctor Who. 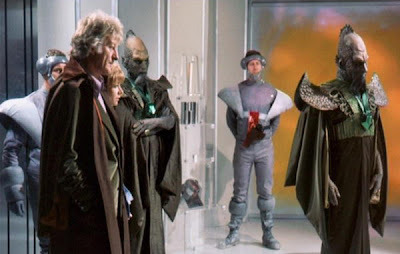 67: Frontier In Space - Doctor Who Does Space Opera? Companions: The Doctor, Jo Grant. Monsters/Villains: Draconians, Humans, Ogrons, The Master, The Daleks. Brief Synopsis: In the 26th century the Doctor and Jo get embroiled in the stirrings of a war between the great empires of Earth and Draconia. Frontier In Space started it's life as a 12-parter planned by Barry Letts and Terrance Dicks as an extravaganza to rival The Dalek's Master Plan. It was later decided to split the story into two 6-parters which left us with The Frontier In Space and... well let's not get ahead of ourselves. My favourite Doctor Who writer penned this Space Opera, but is it his best work? The story is exciting and challenging but the finished product often comes off as a little repetitive and clunky. With too many scenes of space ships attaching and detaching, the Doctor and Jo being locked in various prison cells, and numerous never ending space walks the narrative becomes, at times, muddled. 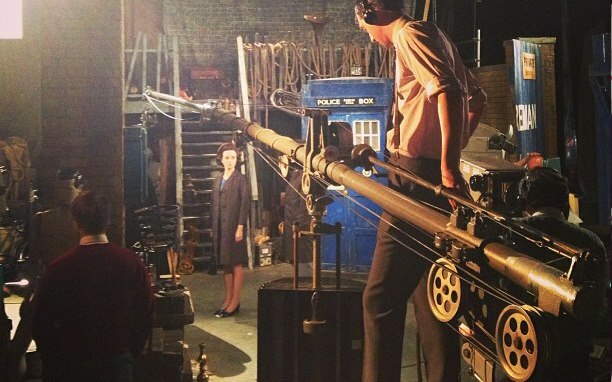 It feels like Doctor Who as a programme takes a step back in it's development. One to many stilted space walks, ay Doctor? But we're ticking lots of boxes. We've got the return of the Ogrons, we've got Roger Delgado as the Master (although sadly for the last time), we've got a new alien race, the Draconians, but yet it just feels like something isn't quite right. I'm a sucker for 50s, 60s, and 70s ideas and expectations of the 'future.' There are some weird and wonderful designs, including futuristic collars. The then newly built National Theatre was used as a location and the Doctor goes on a tangential visit to a lunar penal colony, or "Moon Jail," if you will. There are also some lovely little touches that ground the piece in reality; like the pin-up girl posters in the Cargo ship control room. As always Hulke's characters are fully rendered and non-stereotypical. They're not goodies and baddies, they're all believable people with motives and ambitions. But how does that fit with the Space Opera style? Vera Fusek as the President of Earth. You can tell writer Malcolm Hulke, producer Barry Letts and script editor Terrance Dicks had some say in the casting for this one. 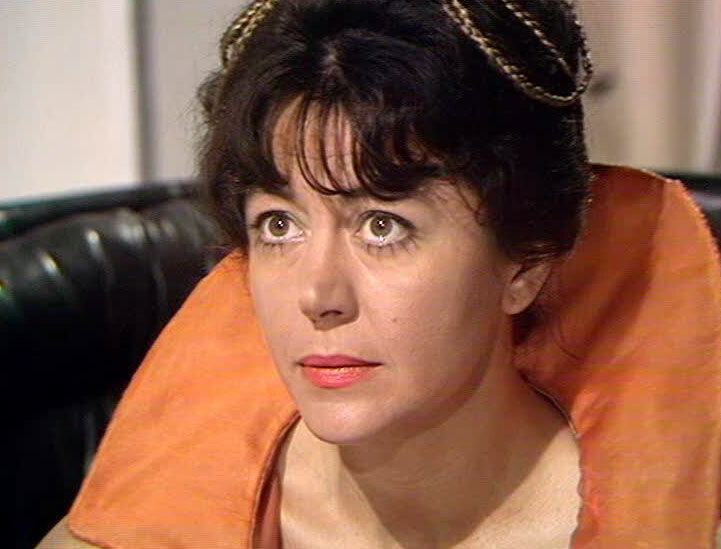 Vera Fusek a Czechoslovakian woman was cast as the President of Earth; something that at the time would have been so far from possible that even the representation of the idea of it on a programme like Doctor Who would have been shocking. older version of Billy Shipton in Blink. The casting of black actor Louis Mahoney would also prove to be fortuitous. Frontier In Space was broadcast 24 February-31st March 1973. In that very same year Trevor McDonald would become the first black Newsreader. It has sometimes been suggested that Malcolm Hulke was a communist; whether or not that is true he was certainly a progressive man. Like all of his stories Malcolm Hulke has loaded Frontier In Space with real world implications. Instead of his more usual moral dilemmas Hulke here delves in to the world of politics and it's ramifications on war. It feels like he's pushing against the melodrama of the Space Opera setting. There's a clue to who he's working for on his chest! 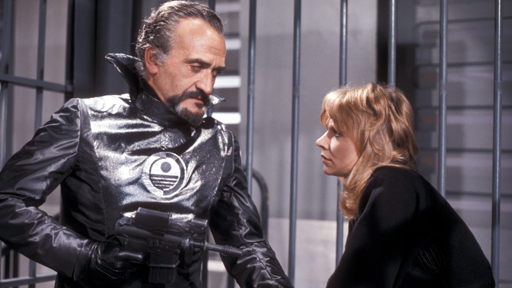 One of the saddest parts of this story is that it would transpire to be the last appearance of Roger Delgado as the Master. He died whilst on location in Turkey when a chauffeur-driven car in which he was travelling came off the road and plunged into a ravine. 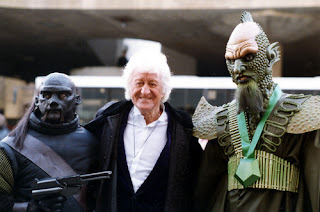 Jon Pertwee often remarked that it was Delgado's untimely death that led to his departure from Doctor Who. Delgado gives an excellent final performance, but sadly isn't given the farewell he deserves. due to their design and use of the actors actual eyes and mouth. So it transpires that the Ogrons are working for the Master, who is using a sonic device that makes people see what they fear most. This feels like Hulke and also fits the Space Opera style. The device causes the Draconians to see the Ogrons as Earthmen and the Earthmen to see them Draconians. 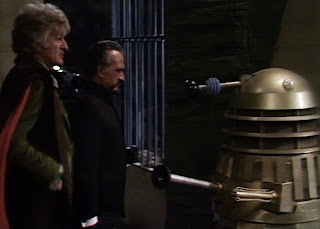 The Master is trying to start a war between the two great empires so that... dun... dun... dun... the Daleks can sweep in and take over the Galaxy in the confusion. The first time we met the Ogrons they were working for the Daleks but the Doctor explains that they are mercenaries, which neatly keeps the surprise of the Daleks showing up right until the end of the last episode. 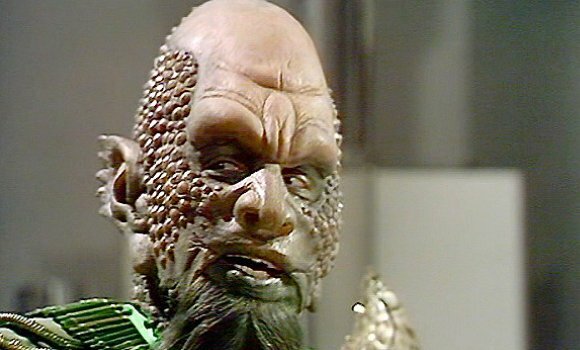 The Draconians make excellent characters. They have a sort of oriental, honour, dragon feel to them in design terms and each actor uses sibilance beautifully. They are one of the alien races that I believe most deserve a come-back in the current series. They were named-dropped as part of the Alliance to trap the Doctor in the Pandorica in The Big Bang in 2010 but didn't make an appearance on screen. I love Peter Birrel as the Draconian Prince. In the end an Ogron shoots the Doctor, who manages to escape back to the TARDIS with Jo. He uses the telepathic circuits of the TARDIS to contact the Time Lords, telling them to help him follow a fleeing Dalek ship before collapsing. It's a big cliffhanger, which is emphasised more by the fact it comes at the end of the story. So on the hole Frontier In Space isn't bad. It's let down by it's lengthiness and sometimes repetitive production. It feels like Hulke wants to write a straight drama highlighting the connections between polotics and war, but he's stuck with the melodrama, adventure and technological aspects of a Space Opera. At times the two synthesise and blend, but at others they clash horribly. It doesn't work on a consistent level, but there will always be a place in my heart for this story. Join me next time for the continuation of this story in The Planet of The Daleks. 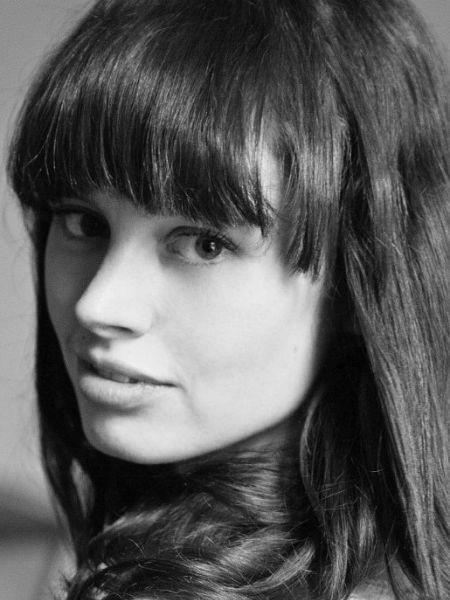 It has recently been confirmed by FlashForward Publicity that the actress Jemma Powell is to play Jacqueline Hill in the 50th Anniversary drama An Adventure in Space and Time. The actress made her cinematic debut in The Hole, and has since appeared in a number of films, including Symmetry of Love, The Seasoning House, and Tim Burton's Alice in Wonderland. 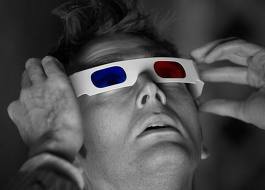 Doctor Who 50th Anniversary To Be Shown In 3D & In Cinemas! It was recently announced as part of a press release from the BBC that as part of the BBC's blockbuster celebrations to mark the Doctor turning 50, fans will be able to see the Time Lord and his adventures like never before - in 3D! “It's about time. Technology has finally caught up with Doctor Who and your television is now bigger on the inside. 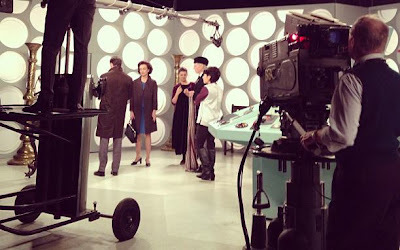 A whole new dimension of adventure for the Doctor to explore." The last time Doctor Who used 3-D was in the best-forgotten Children In Need and 30th Anniversary special "Dimensions In Time." Let's hope that Moffat has something a little better than that to hit us with for the 50th. There are also some rumours circulating in the Guardian that the 3D Special will be shown in special screenings at selected Cinemas. Perhaps the closest we'll get to a Doctor Who Film. Who has been advertised in cinemas before but hasn't seen an on screen release since the Two Dalek films. "We will be doing it on cinema screens as well. We are working out the logistics of that at the moment because we need to make sure the main BBC1 experience remains absolute value for money for the audience." Details are still a little hazy. But more will surely follow shortly. The special guests for the screening of The Mind of Evil at the BFI were announced at the screening of The Tomb of the Cybermen. The screening sold out in 7 minutes after going on sale to BFI members. 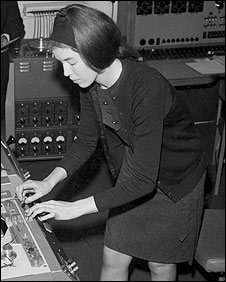 The latest casting reported is that of Delia Derbyshire, the woman who brought the original Doctor Who theme tune to life in 1963. 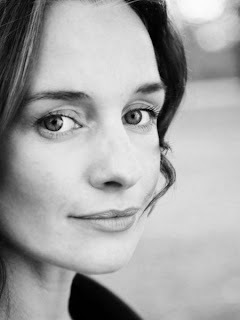 According to talent agency Olivia Bell Management the role will be played by Sarah Winter. Casting for the roles of William Hartnell, Sidney Newman, Verity Lambert, Waris Hussein, Ian Chesterton and Carole Ann Ford were announced earlier. 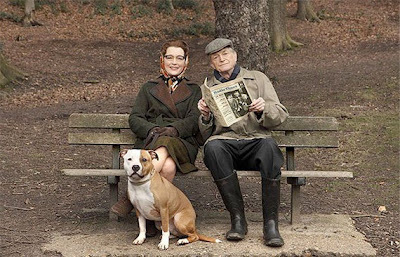 Further Casting Announced For Doctor Who Origin Drama "An Adventure In Space And Time"
Talent Agency Curtis Brown has confirmed that the part of William Russell who originally played Ian Chesterton has been given to Jamie Glover. While the part of Carole Ann Ford who originally played Susan Foreman goes to newcomer Claudia Grant. Claudia is represented by the agency of real life granddaughter to William Hartnell, Jessica Carney. Further casting has already been revealed. Only the casting of Jaqueline Hill is yet to be announced. I am very sad to announce that actor Bernard Horsfall passed away last week. He was 82. Horsfall was a seasoned and well respected actor. 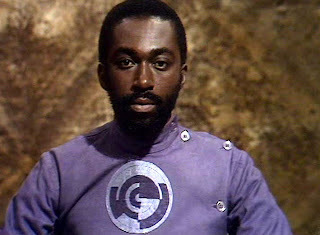 He appeared in four classic Doctor Who stories playing various different characters alongside three Doctors. The Mind Robber as Lemuel Gulliver. The War Games as a Time Lord. Planet of the Daleks as Taron. The Deadly Assassin as Chancellor Goth. He will be sorely missed and our thoughts are with his friends, family and loved ones.